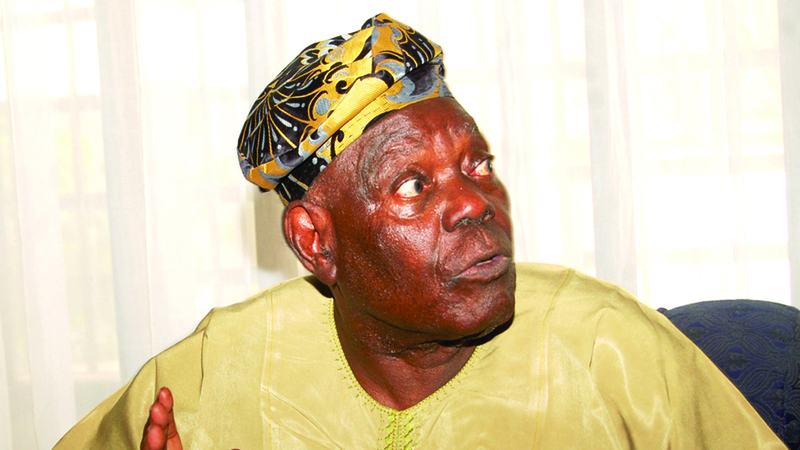 Chief Bisi Akande, who turns 80 today, is one of the major actors in Nigeria’s political firmament. In this interview with Muyiwa Adeyemi (Head South West Bureau), Rotimi Agboluaje and Tosin Dada, he speaks on how he was wooed into politics, his first encounter with Chief Obafemi Awolowo, with a lamentation that politics has degenerated and become monetized in Nigeria. Congratulations on your 80th birthday. Does the longevity gene run in your family? That is a big question. My grandparents lived very long but my parents lived for a very short time. My father died at age 50 and my mother died about age 45. So, if you find the average, maybe I am supposed to live for about 47 years. And that was about the time I was coming out of the prison. I thank God I did not die in prison. Since I came back, I was thinking that perhaps I took the gene of my immediate parents. I started being careful. Maybe God’s grace led me this far. When did you get the confidence that you have overcome the fear of premature death? Honestly, I was in trepidation since about age 50 to 70 that I might die suddenly but it was during that period that I was being stampeded into difficult kind of assignments. I thank God that I didn’t lose my life as a governor. Immediately after I came out of office, I suffered a very serious heart ailment, which I would not have discovered if I remained in office because we were brought up to work very hard, both in schools and at work. As a village boy, we were going to school; we were helping our parents in the farm. So, we go to school, we go to farm at the same time and the theory or the culture of my age was work hard to be successful in life. I tried to work hard as a student, I couldn’t have the opportunity of continuing as a farmer but I loved being a palm wine tapper, taking after my father who was a palm wine tapper. I enjoyed seeing him climbing and coming and each time he came, he will come with sweet juice of palm wine and have a sip of it. It’s like medicine; you will go and sleep. So I thought one day I will be a palm wine tapper. People call you Baba omo kekeke…why? That was after being a governor. Because I loved education. I always said it, the teachers didn’t like me because I said schools were not made for the teachers, the schools were made for the pupils. A situation where the teachers will own the school without doing well with the pupils was not acceptable to me. I made it a principle and I made it clear to the teachers that they don’t own the school; the pupils own the school. If there were no pupils, there should be no teachers and I went round. I caught my interaction with people through a forum, which I called labeodan (under the tree). I moved round the whole state letting them know that only good teachers should be in schools. I removed all the bad ones. I removed 4000 teachers to be replaced by good teachers. I want pupils to have a good science background in their learning. My schools were flooded with teachers of history, teachers of Yoruba, teachers of religious knowledge. In the whole Osun state, hardly did we have twenty science teachers. I went to a school where I met a Physical Education teacher teaching Physics and the result was less than two per cent in the school certificate and those who are making those two per cent were missionary schools. Everybody was failing so the teachers became the king of schools. I said no, in service you have to serve the pupils. The pupils should be the king and not you the teachers. Maybe that influenced the idea of them calling me Baba omo kekeke. The teachers didn’t like this but the pupils were happy. What were those difficult assignments you said you were stampeded into from age 50 to 70? I never had any intention to be a politician. I was attracted into it or stampeded into it to use the word or commandeered into it because my first assignment in politics was an appointment by the military to serve as a councilor in Ila Local Government in 1971. Brigadier Oluwole Rotimi was the governor of the then Western Region. And I woke up one day, opened the newspaper, saw my name included as one of the people they call management committee of Ila local government. What that meant I didn’t know but because it never disturbed my job, I had to travel all the way from Lagos to Ila to serve as a member of the management committee of the council. I enjoyed service. I loved it but it was very tedious because I had to live in Lagos working with British Petroleum (BP) and serve in Ila. So you know what it means going to meetings. I go to plenary, I go to committee meetings all the way from Lagos. No good roads then. I had to go through Ikorodu, Sagamu, the old Lagos road. I was dragged into it. After that assignment, I thought I was done with politics. One day a message came from Ila that I was to attend a meeting. We didn’t know ward then, we called it quarters. They said the quarter meeting. I said what’s my business about the Quarter meeting. They said the quarter head and all the quarter people wanted me; so I had to go to Ila. Getting to the meeting, they asked me to serve as a councilor in the Obasanjo transition to civilian in the Second Republic. So, I had to be returned to council unopposed for Isedo ward 1 in Ila Orangun. I didn’t like it very much because I thought one of our brothers would go and I had been discussing with that one, trying to encourage him to be ready to go. But suddenly when they brought that idea, I said okay, I have a brother who was supposed to go. The family of that man rose and said no it’s you that everybody wanted. I didn’t know how to say no. What do you want me to do for you and they told me what they wanted. They said there were no roads to their villages; they had not been seeing what goes on at the local government and things like that. I accepted to serve and that was the second time. As a councilor now, the rule was that there was going to be a Constituent Assembly and Ila was to be merged with Odo Otin Local Government as a constituency to elect somebody to that Constituent Assembly. Nobody in my place showed interest because the other local governments were having sixteen councilors. In my place, we were having fourteen and nobody seemed to signal and I said will it be a walk over. I was going to contest. I just felt I would just score fourteen if I have all in my council and somebody in the other council will score sixteen and I would lose. I would go back home. That was my intention, honestly but we went into the election and with one of the best politicians in my area, Chief Kola Balogun, who was the first Nigerian Minister for Research and Information, He too contested; then one Dairo, old Private Secretary to Chief Obafemi Awolowo, he too contested and another lawyer. Four of us and when the votes were counted, I scored fourteen, the others shared their sixteen. So, they declared me elected. I had to go to the Constituent Assembly to join others to write the 1979 constitution. There I became friendly or associated with many Nigerians of the Igbo and Hausa extractions and it was about the beginning of my journey into national politics. I thought I was done because my company had to give me a leave of absence to serve in the Constituent Assembly and I went back to my company. One day like everybody had known that I was appointed Secretary to Government in Bola Ige’s government. I didn’t even know what it meant. I didn’t know what Secretary to Government was supposed to do. Was that your reward for campaigning for the UPN? Honestly, I did campaign for the party. There is a big brother, Chief Ayo Fasanmi, who I met at the Constituent Assembly who was very used to my area. He lived in Oshogbo; he passed through my town all the time to go to his own town and because of that, he knows the area very well and he just met me and said Chief Awolowo will like to see me. Honestly, I was over excited. How can Chief Awolowo want to see a small me. I have never been a politician. I was afraid. 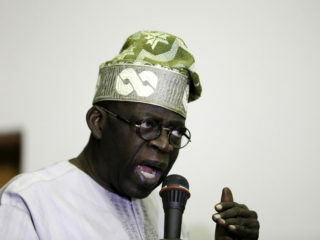 He said Chief Awolowo would like to see you maybe tomorrow evening at Park Lane in Apapa. I first of all said okay, later I went back to him and said I won’t be able to make it tomorrow evening because I was afraid. I need to carry my people along with me because I didn’t know what Chief Awolowo was going to say to me and I didn’t want anybody to say I have gone to Chief Awolowo behind their back. Because I knew when I was young as a schoolboy in my place, if you say ‘A’ before you say ‘Wo’, they will cut your head. In my place at that time, we didn’t do Awolowo politics at all. Anytime Awolowo was coming to Ila, my people will say tomorrow Awolowo is coming, everybody must go to the farm and everybody will obey So, each time Awolowo or his people come to talk, they talk to themselves because only the entourage will listen to them. It’s like a curfew. How did your meeting with Awolowo look like? After consulting with some of my friends, they were more excited than I was. They said you ought to have answered him. Okay, let us go together. So, some of my friends had to follow me. We were about four or five and we told Ayo Fasanmi were ready. He took us to Chief Awolowo. I had known Awolowo by reputation. I had always seen him in pictures and one or two occasions seeing him in life maybe as a chancellor of the old Ife University. I had relatives, personal daughter at the university and I attended the convocation. I used to see him talking. I admired him, I had read nearly all his works by that time but I was trying to find out why is it that my people didn’t like this man. So, because of that I kept reading all his works, all his interviews, all things said about him. All things said in his favour, I read most things before I was invited to meet him and I prepared my questions. I was ready to meet him and to engage him really. He gave me good time, we talked for well over two hours and I put so many questions that I regarded as difficult because I tried to put questions that will say, you Awolowo you said this today but at another occasion, you contradicted yourself by saying this and so on. That was November 1977. I enjoyed interacting with him and in life, he appeared much greater than I used to know him in reputation and I respected him a great deal. What he actually called me for was that he wanted to do politics again and that in the first republic, my people didn’t accept him. He learnt if he came to Ila through me this time that my people will accept him. I got overwhelmed by that kind of gesture. It was too much for me anyway but I didn’t answer to that. I asked my questions and left. Then I became taunted by that request. Awolowo said he wanted to come with me to Ila and he wanted Ila people to accept him. That became an albatross on me and I felt I must work hard to see him win election. In approaching my people, I had a lot of problems. All the educated people didn’t want me to do Awolowo’s politics. All the Muslims didn’t want to do Awolowo politics and they were the majority in my place at that time. But myself being a Muslim, I decided to start from the mosque. I didn’t go to mosque to ask them to follow me to Awolowo but I prevented using the mosque as a campaign ground. I tried to persuade my people not to allow us to use the mosque as a campaign platform and we had all our watchmen in all the Ratibi Mosques so that nobody will bring politics to the mosque. Since I got that done, I thought politics would then start. In recruiting people to contest elections, all the Christians refused to answer me. All the educated people like me, because that time we thought graduates must represent us, they didn’t come along with me. All the NPN candidates that time were graduates and most of them were Muslim. That was when I became really afraid that things might not work well. But we worked very hard to see people vote for the UPN and we won all the constituencies in my place in the 1979 election. As soon as that happened and Chief Awolowo did not win the presidency, I went back to my job. I had to go back to my job. I wasn’t a politician. I had done what I was requested to do. I was working for British Petroleum; I was enjoying a managerial position with good salary. I was happy. Suddenly an announcement came that I was appointed Secretary to the Government. I have never been a civil servant. I accepted to be, but not with ease too because I was afraid losing my job. Before then, there had not been stability in Nigerian politics. If I lose my job and accept to be Secretary to Government, three months later there was a coup d’etat, what happens? I lost my job. I had to write to my company to give me a leave of absence, it was granted that I should serve but this time without a pay. When I went to the Constituent Assembly, it was with a pay but this time I was granted leave of absence without pay. What is your religion because in 1999, you refused to swear by the Quran while you were being sworn in as governor? You’re very right. I was born into Islam, not that I know much about the tenets. But because I’m born into it I remain a Moslem. I pray and I believe in power of prayer. The day I was to be sworn in, I never had the opportunity of doing ablution and I should not hold the Quran if I don’t have ablution. So, I preferred to affirm and I merely affirmed. Not because I don’t believe in God. I believe in God but I don’t want to do it in a wrong way, that’s why I did what you said I did. And if tomorrow I have the opportunity to be sworn in for anything if I do ablution I’ll swear by the Quran; if I don’t I won’t touch it. As to culture, religion is an essential part of culture. I believe my religion should be a matter between my God and me. I don’t believe it’s anything I should put on my forehead for everybody to come and see or making a show of it. I’m not a cleric and I don’t want to be one. I’m a believer and I pray. Can you share your guiding philosophy in politics and role models? My major role model was Chief Awolowo. My guiding philosophy is service to humanity. In my time I told you I served as councilors first for the military, second elected. We were not earning money. No salary. I was living in Lagos; attending meetings in Ila. You know how much it will cost me traveling down for every meeting. I enjoyed it. The government said they were paying N100 allowances per month, which we donated to public service because it amounted to nothing. So, the purpose of acceptance was service, and because nobody took money from me. It is like a chieftaincy thing. My people called me and said come and be our councilor and sent me there unopposed; so I thought I must serve them. Didn’t you spend money to print posters or lobby? No, we went to a quarter meeting and the matter was debated and that was the end of it. By the time we finished, nobody opposed me so I didn’t need any poster. At what stage did politics become monetized and what would you say was responsible for that? Even at the beginning of the third republic and this republic, at least if I didn’t know much, I knew as a governor and even before then during the military, I contested again to Abacha’s Constitution Assembly, though I boycotted after I won. 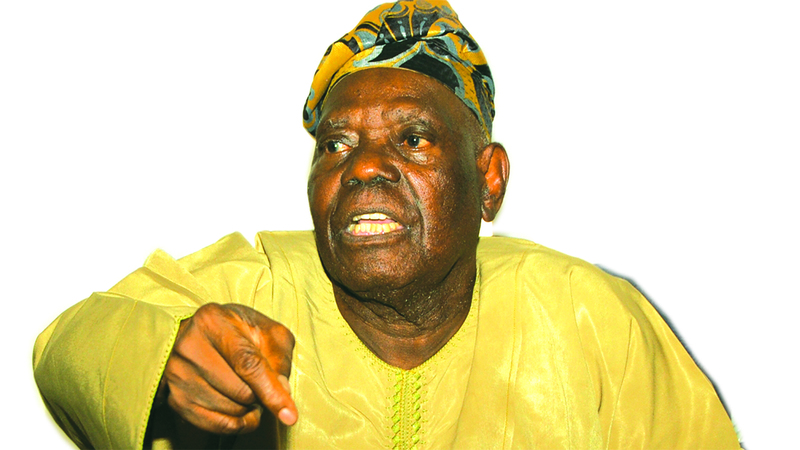 I contested in disobedience to my group, Afenifere and National Democratic Coalition (NADECO). I contested but the instruction was, don’t contest, don’t honour Abacha and because I was just coming from prison and I wanted to prove to the military that they were wrong to send me to prison for what they call conspiracy to enrich Unity Party of Nigeria (UPN) which I knew was false because I didn’t do such a thing. The same military formed two parties. They called one National Republican Convention (NRC), and other one Social Democratic Party (SDP). They bankrolled the two parties, built two houses for them in all the 774 local governments. In other words, it means 1600 houses for parties with government money. They were paying salaries of secretaries and chairmen and so on. They introduced money and bribery into politics. I didn’t like it. Have you ever been offered money? Nobody will be good enough to offer me money because I see it as an insult. It means when you are outside bringing your money, you are coming in with my price. Nobody will be bold enough to do that. How do you feel about aspirants allegedly bribing party chairmen to get tickets? I was party chairman for 11 years. People were winning tickets. Go and ask. I don’t know. It might be. When we formed All Progressives Congress (APC), we formed it with that mindset but after forming the APC, after becoming a party, some people calling themselves the New PDP walked out of their party and joined us. Not that you formed it together? No, we didn’t form it together, they only joined. Bukola Saraki, Atiku Abubakar, Tambuwal and co; they only moved in. They moved in to join us after we were already APC. So we allowed them in but now there has been a mixture of new PDP or old PDP joining old CPC and so on. Then you have a lot of people now, so if you are hearing that some people are using money to get there now, it is a new phenomenon and it started when I had left my position in the party. If you are to define political parties based on ideology, what is the difference between APC and the PDP? We have clear-cut ideologies. Ideologically, what makes APC different from PDP is that PDP had led Nigeria into a neck-deep problem of corruption which is the foundation of a failing nation. They led Nigeria neck-deep into indiscipline. But we formed APC to be able to introduce discipline, to be able to eradicate corruption and to be able to muck up all the bad economy that PDP had established sixteen years before our advent and at the same time to save the country from the doom of insecurity into which PDP had thrown us. If you remember about twenty local councils in Borno State were in the hands of Boko Haram before APC government. But mischievous politicians started by calling it Fulani herdsmen but the moment they saw that the two presidential candidates are Fulani, they stopped calling it Fulani herdsmen, they returned to herdsmen. Nigerians can be easily deceived by these people. They are very cunny; they have a lot of mischievous tendencies. In 2014/2015, you and your party promised restructuring. And now it seems to be one of the failed promises of the APC. Your party has presented Buhari again and restructuring is not on his agenda, why? I wrote the first book on restructuring in 2002. Restructuring was not in the manifesto of APC when I was the chairman. Devolution of power was in our manifesto and there is a little difference between the two. People don’t know the difference. You can say devolution of power is more or less a restructuring but it is not. I was one of those that began the agitation for restructuring in Nigeria. 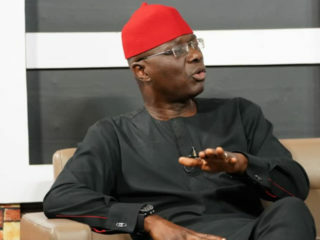 I believe in restructuring absolutely but that doesn’t mean that my party believes in it. But it is my duty to work very hard to sell my idea to my party; however, I believe my Party can’t be persecuted for it. I believe in it. I am not saying my party believes in it. I have believed in it well before now. The agitation for restructuring began when Abiola was denied the opportunity to serve when he won the presidency and that is when the idea of restructuring began and I was part of the beginning of it. I signed the first Yoruba agenda on restructuring under the chairmanship of the late Prof Adebayo Adedeji. I led my colleagues to popularise it by writing and launching what we call the Yoruba agenda and the essence of the Yoruba agenda is restructuring. I wrote a personal book with a foreword by Abraham Adesanya on restructuring. But APC accepted devolution of power while we were writing the manifesto. What is devolution of power-allow the state to do more and the federal to do less. That is devolution of power and all you need to do is to change or to reduce what you call exclusive list in the constitution and you do not add it to the concurrent so that it goes into residual. I don’t see a reason why a federal government should engage in agriculture. They have no land. All lands belong to the state. I don’t see a reason why the federal government should engage in primary and secondary education because that’s where the culture of people is imbibed and you can’t universalise culture. Culture of the Yoruba might not be the same as the culture of the Itsekiri; culture of the Igbo might not be the same as the culture of Hausa-Fulani. So, it is in the primary and secondary school that you can expand the mind of the children into the culture so that their outlook in future would create the dynamo that can modernize culture. Because of that I don’t see the federal government participate in primary and secondary education but when PDP came, they said their principal something was basic education. They used it to steal money. They started by giving me money to build ten schools; I used it to build thirty of the same standard and structure with the permission of their engineers and their materials. I built thirty with ten and I started saying it. They stopped giving me money and were awarding the contract straight from Abuja. By the time I was leaving government, none of their own had left foundation level. I had opened up my own for schools to use. All these things that PDP said they would do, they were using it to steal Nigeria’s money. How do you explain somebody walking down to CBN and taking $2.1billion not Naira; that is what Buhari has been battling with. If our system isn’t a bad system you ought to see most of them in jail by now. It’s the stealing of money, which degenerated into free money of pay without work. Prosperity without service or work. That’s what everyone is now doing. Stealing pants to make money or using people’s bodies to make money. All those kinds of things. That’s the new culture. It shows a failing in our education. It is because the Federal Government messed up education during PDP time. If you look at the Constitution, it never allocates primary and secondary education to the Federal Government at all. But with impunity, without regards to the Constitution, the federal government appropriated that function to itself to steal money during PDP time. All these are what we saw when we put in our manifesto of APC that powers must devolve from the centre to the states. Why has is it not been done? It is possible for National Assembly to do it including the state assemblies. Buhari can’t do it. He has no power to do it. And he can’t leave his job of executive service to go and be doing the legislative work. Does that not bother your party that you are not able to deliver on your promises. That is not a promise. It’s in our manifesto. Our promises are encapsulated into economy, eradication of unemployment, making Nigeria safe and fight against corruption. That’s the plank upon which Nigeria voted us. Manifesto, tangentially included devolution of power. We tried, and you know it has been done once during Buhari time, when they wanted to amend the Constitution all proposals were defeated at the National Assembly. What do you want Buhari to do? He’s not a member of the National Assembly. Why do you blame him for that? So, if you don’t have anything to blame him for, don’t blame him. If you want to blame him let it be on what the law allows him to do. We can’t blame the President for anything now but we know that the President can send Executive Bill in this direction. In recent time, we began to see Executive Orders, there hasn’t been any, to our understanding, to suggest that there is a bill from presidency on devolution of power to the lawmakers. Look! Look! Don’t take that to be the number one job he has to do. 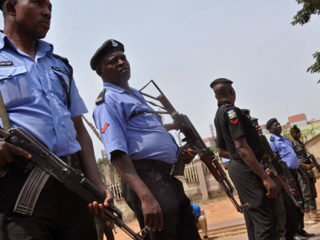 If the security of Nigeria isn’t good, you’re thinking of an executive bill about devolution of power. Don’t deceive yourself. If you take that to be the number one priority, that will stop Boko Haram destroying us and you want him to wait doing executive bill for devolution of powers and allow things to go beyond Borno and come to Ibadan. By the time Boko Haram is around here you won’t be able to sit down with me here. So, there must be a sense of priority in anything you do. Priority of the Executive isn’t devolution of power. It’s tangentially put in our manifesto. Agreed! I believe in it and want it done. I don’t have power. I can’t force it. Unless I want to fight war. At 80, if you have a deep reflection on some decisions and things, as a governor and as a party chairman, would you say there were some you did then that you would have done differently? Honestly, there is nothing I’ve done in politics that I would have done differently. I believed in what I did. Not all I wanted to do were successful but most of them were well thought out and deep-rooted in reasoning and in the interest of the people of Nigeria. When I was the Secretary to the Government, deputy governor, governor or when I was the national chairman of a political party, there was nothing I did that I have regretted. I accept responsibility for everything. You’ve been an actor ever since. I think you’re one of the major actors that shaped Nigeria as it is now. Are you ready to take responsibility for the present situation in the country? I won’t take responsibility for the present situation in the country but I’m ready to take responsibility for all my participation and doings in the country thus far. Like I said earlier on, not everything I did succeeded and not everything I wanted to do was acceptable. In democracy, you lose some and win some. For all that I initiated or participated in, I take responsibility. Will you be retiring as a happy politician? Not in anyway. Politics has degenerated a lot. Politics as it is today isn’t the politics I wanted it to be. It has put Nigeria in the heartbeat of destruction, failure, disintegration and abject poverty. And why was that? For things beyond my control, when Nigeria was rich, the money was wasted by the PDP. And they aren’t done yet. They still want to come back to shatter the remaining if Nigeria would allow them. For 16 years, crude oil was selling at the peak between $100 and $140 per barrel. For 16 years, they were unable to make electricity work as it’s working today. They were unable to do good by education. Can you talk of some of the low moments you cannot forget? My lowest moment was when I lost my wife of 51 years. I met that woman seven years before we married and suddenly, after dinner she reported ill. They took her downstairs. She went to the hospital and second day they told me she’s dead. Honestly, it gave me the lowest moment of life because that was the source of my feeding. And when you cut the source of feeding of a man away, he will be in hunger. Since then, I’ve been living hungry. That I participated in service for the good of the people of Nigeria. There were track records to show. Everywhere I served I always contributed my little bit to uplift or for the goodness of the people of the country and I’ll continue to do that for the rest of my life. 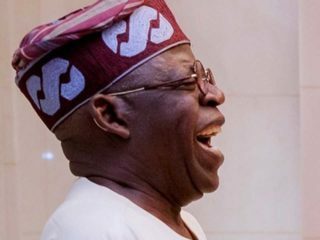 Some people say you and Ashiwaju Bola Tinubu never disagreed openly. Do you share the same political philosophy with him or you just allow the younger one have his way? The same way they say I have not been speaking to power openly. If I have access to you without knocking your door and I can always talk with you, to me it’s imprudent to go out and say that I met this man today and this is what he said. Or he’s a foolish man because we’ve disagreed on this or that. I talk to power openly where it’s impossible for me to reach power. It’s not right when I can go in to Bourdillon and say Bola why did you do this? And he will say Baba this is my reason, whether the reason was genuine or not I’ve had background knowledge of what he did. It will be imprudent of me to go out and be saying anything I don’t agree with him about. The same way if I get to Abuja now and I alert Buhari that I’m in Abuja within 24 hours he would give me appointment to see him. And when I see and ask him, Mr. President, why did you do this, what is happening in Benue, what is happening in this place? All that I read in the papers? I know, because I’m not participating in government, he would sit me down and say Chief Akande this is the reason for this, this is the reason for that. After explaining all these to me and I leave him, to come out now and say he is a bad man honestly it won’t make me anybody of trust. So, I don’t disagree openly with people with whom I can always converse freely with. But if I can’t reach you and I don’t have a way of reaching you and you’re doing something that does not appear to be good to me, I can talk.